Recently we had the pleasure of discussing North Carolina State University's Online MBA with Steve Allen, Associate Dean for Graduate Programs Poole College of Management. 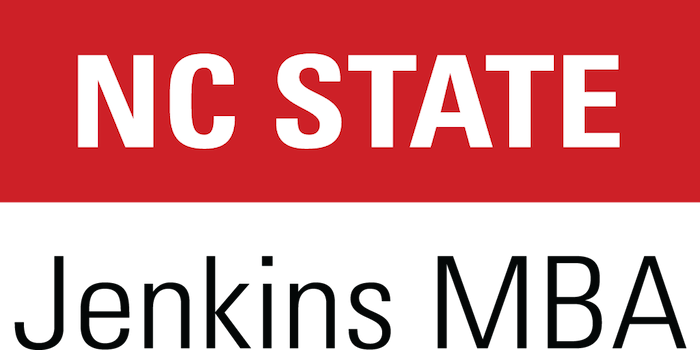 North Carolina State University’s Jenkins Professional Online MBA is impressively rated high, including #10 in the nation according to Online MBA Report. What makes NC State unique amongst the various online MBA programs? We have a unique curriculum that stresses the application of management concepts to real-world problems. We also provide students with more flexibility in designing their program. They can mix face-to-face on campus classes with online classes. Also, electives represent 50 percent of the program. We get students with an average of 10 years experience who want to advance their careers and have difficulty coming to face-to-face classes on a regular schedule. NC State’s MBA program offers flexibility—start term, length of time to complete, and flexibility with deadlines for work. How does this appeal to your students? Today’s generation likes to design their own playlists, not listen to an entire album by one artist. On television, they watch whatever show they want when they want to watch it. So shouldn’t an educational program trying to reach this generation follow some of these same principles? Our students can take anywhere from 2 to 6 years. They can take leaves of absence. They can take one course this semester and two or more the next, and vice versa. In some programs you have absolutely no choice at all — take it or leave it. NC State offers a “Depth Requirement”. Can you walk us through that offering? We believe students should have some depth in some dimension of management. Currently we offer depth options in biosciences, entrepreneurship, finance, innovation, marketing, and supply chain management. Students can go further and get a certificate in these areas by taking an extra course or two. It makes NC State MBAs different from general management MBAs at other schools. Students gather on NC State’s main campus in Raleigh for two required 3-day residencies. What do students experience at these residencies? The residencies emphasize instruction in communication, teams, human resource management, and organizational behavior. The classes are very interactive. Students also get the opportunity to network with each other over the three days. We do not have cohorts in our program. Our students have made it clear they value flexibility. I actually teach in the program. We have online office hours twice a week where we work through sample questions and I answer questions. We also have active discussion forums. I check emails regularly and usually get back in a few hours. I am available by phone and in person as well. Online students have access to the same support as face-to-face students. Most of our online students live within 100 miles of campus. For those that our further away, we provide coaching in the evening and weekends, as well as regular 9-to-5 office hours. Ancestry, Deloitte, Bank of America, Cisco, Eaton, Ford, IBM, Johnson and Johnson, Lenovo, Red Hat and many others. What advice would you give a prospective candidate for NC State’s Online MBA program? NC State’s mission is to transform lives; be ready to be a better manager and a better person upon graduation. Why should a prospective MBA candidate choose NC State’s Online MBA? We provide an impactful educational experience while providing students with flexibility at a reasonable cost.